The names on the list were chosen by the Democratic precinct committee officers from the 40th Legislative District, which Ranker formerly represented. The Washington State Constitution stipulates that in the event of a legislative vacancy in a district spanning multiple counties, the state central committee of the political party that legislator is from shall draw up a list of three names of possible successors. The county legislative authorities must then jointly pick one of those individuals to fill the vacancy. If they cannot agree on a name after sixty days, then the governor shall fill the vacancy by selecting an individual from the list. The Washington State Democratic Central Committee, by adopted rule, delegates its list-writing powers to what are known as special nominating caucuses. The statutory state committee or its executive committee still has the responsibility of approving the work of the special nominating caucus, but that is a mere formality. The executive committee is slated to take that vote today. As the first place choice of the PCOs and an experienced lawmaker, former State Representative Kris Lytton would appear to be a lock for the appointment. Lytton is widely respected in the statehouse and throughout Northwest Washington. 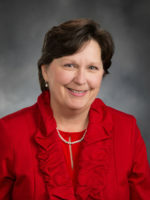 She was the Chair of the House Finance Committee prior to her retirement, a position now held by State Representative and NPI boardmember Gael Tarleton. She ought to adjust to life in the Senate very quickly. Once a successor to Ranker is chosen, the Senate Democratic majority will be back to its full strength of twenty-eight. Democrats flipped three Senate seats in the recent November midterms with the victories of Claire Wilson over Mark Miloscia, Emily Randall over Marty McClendon, and Mona Das over Joe Fain. However, just before the session was to begin last month, Ranker resigned. With the first few weeks of session mostly taken up by committee work, the vacancy in the 40th hasn’t caused any problems for the Senate Democratic caucus. The caucus will surely be glad to have Lytton on board for the remainder of session, however. She brings experience and an excellent understanding of fiscal matters to the table. Under Lytton’s leadership, the House Finance Committee last year voted to advance legislation to levy a capital gains excise tax on high earners. Congratulations to Kris Lytton, Liz Lovelett, and Trevor Smith on being nominated to join the Washington State Senate from the 40th Legislative District. We’ll keep you posted on next steps for filling this important Senate vacancy. Lovelett gets the nod, over the pro-charter school Lytton. Good news. © 2019 The Northwest Progressive Institute. The Cascadia Advocate loaded in 0.199 seconds.